Azio Corp. is a manufacturer dedicated to providing innovative tech gear to make everyday life more engaging and fun. We believe that design has the power to alter not only perceptions, but also emotions. Through superior design, we are driven to provide a better experience for people of all ages from all walks of life, no matter what your hobby, profession, or need may be. Technology can simplify complicated things, or complicate simple things. Our design goal is to create cutting-edge products that are intuitively easy to use, provide maximum comfort, and leave a minimal environmental footprint. Through the use of color, material, and finish, we strive to design our products with the perfect blend of elegance and ferocity. Our brand, Azio®, is an acronym for "A to Z, Input-Output". This reflects the core of our business as a manufacturer of computer and electronic peripherals. The Azio brand logo employs a simple, geometric typeface to resemble solidity, efficiency and forwardness. This simplicity and cleanliness avoids all decorative and nonessential elements to demonstrate that Azio aims to only offer succinct products that have the optimum balance between aesthetics and functionality. ​Colorful Technology Company Limited, professional manufacturer of graphics cards and motherboards, is thrilled to reveal its preview of features for its upcoming iGame200 motherboard product line. The new motherboards from Colorful will support both existing and upcoming processors for the LGA1151 socket including the 7th-gen Core series processors from Intel. The new processors will bring several improvements over its predecessor including performance and efficiency enhancements and Colorful is ready to bring the best that these CPUs can offer and deliver the needs of gamers with outstanding features. ​HAVIT, since 1998, is the global professional brand of PC and mobile terminal peripheral; it is the national A custom enterprise, the enterprise with independent international brand that is key cultivated and developed by Guangzhou government. Its business covers brand operation, import and export trade, cross-border E-commerce and supply chain service. The sales network evolves more than 80 countries and regions. Except that, it establishes branch office for marketing in Miami, America. It becomes specialized manufacture of many international brands and supplier of chain groups. In recent years, HAVIT has fully entered into new channel and industrial field such as cross-border E-commerce, mobile terminal, Borlee 3D printing. Under the promotion of remarkable achievements, the influence of its brand has become bigger and bigger, in future; HAVIT will continue to strive for more excellent achievements. ​GAMEMAX brand products of computer case and power supply were very popular among computer game players, become a reliable best brand in IT gaming accessories provider in worldwide! Raidmax was founded in 1988 with the mission of providing the best solutions: specifically, meeting your requirements for innovative designs, excellent performance and quality products. ​After numerous global feedback, Raidmax is known all over the world. It is said our company is not only a case designer but also the perfect budget keeper. You can simply spend a little but you receive higher quality than you expect. It has been more than 10 years since Raidmax began its work on its unique product lines and market position. The name of Raidmax is synonymous to gaming design and budget cases. In the United States, Raidmax is considered to be a major brand in this regard; in Asia, it is said that only Raidmax can offer the budget cases with great designs; in Europe, with almost no brand management, Raidmax' followers are still showing their loyal support in many ways. ​Vention Technology Limited was founded in 2002 at Hong Kong. They have built the business and reputation over the past nearly twenty years based simply on their commitment to quality, value, and service. 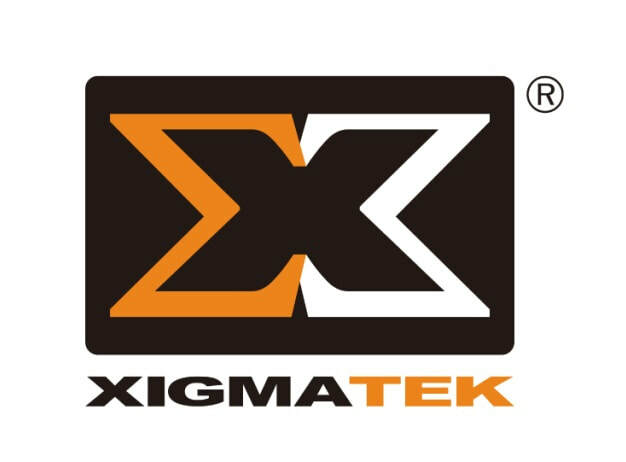 ​Since our establishment in 2005, Xigmatek has grown increasingly in many aspects such as size and recognition, we are committed to provide the newest innovative technology, superb quality, and excellent service, our mission is to become a leader in the computer peripheral and thermal industry. We emphasize highly on concept, innovation and design; pursuing perfection and setting trends in the ever changing computer peripheral industry. We innovate, others follow.